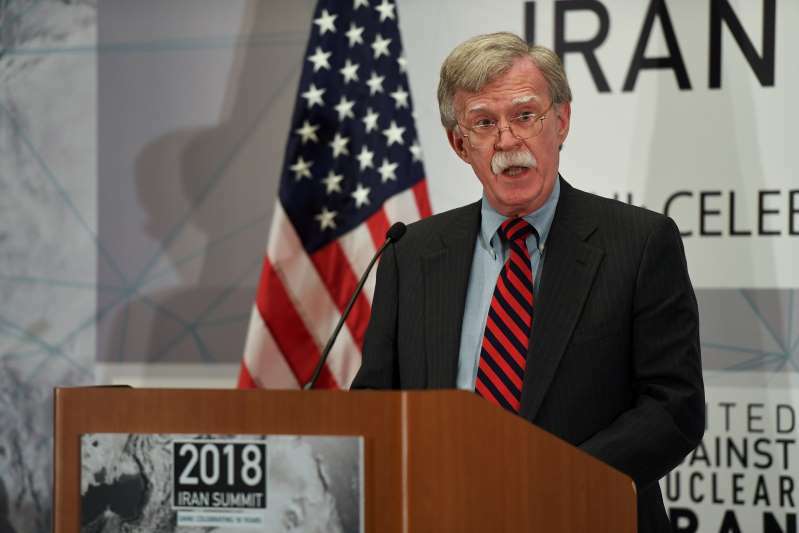 © Darren Ornitz/Reuters National security adviser John Bolton speaks at a meeting on the sidelines of the U.N. General Assembly in New York on Sept. 25. The new strategy raises the stakes for the Trump administration in Syria, where it must navigate an array of obstacles that also include Russian support for Syrian President Bashar al-Assad , which has reduced his incentive to make concessions required to end the fighting. Faysal Itani, a Middle East scholar at the Atlantic Council think tank , said U.S. officials appear to have renewed hope that the long-stalled U.N. negotiating process can finally produce a settlement. Or, he said, they may be preparing for a lengthy on-the-ground mission, given the remote likelihood of a deal anytime soon.